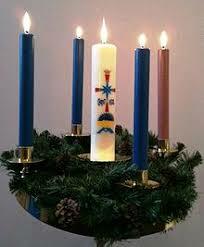 The season of Advent started yesterday. This is the time in the church year that leads up to Christmas. However, it is about much more than counting down the days until December 25. While the culture around us emphasizes hectic shopping and holiday activities, the season of Advent emphasizes patient and hopeful waiting for God’s plans to unfold in God’s time. This is not passive acceptance of things as they are. Rather Advent reminds us to be still and open enough to discern how God is calling you and me to play our part in God’s purposes of love, justice, and reconciliation for all people. This season reminds me of the quote used often by Martin Luther King, Jr., “The arc of the moral universe is long, but it bends toward justice.” Following the way of Jesus is not for a day, a month, or a year. It is commitment to a life long journey of being co-creators with God in ways that make visible the reality that all people are beloved children of God. At this time when there is so much division and hostility in our country and around the world, l encourage you to take time to be still, open, and patient before God so that we will both know and participate in the true reason for the season.